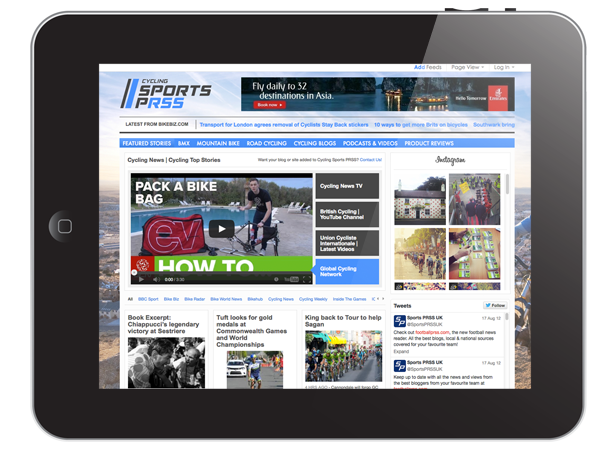 Sports PRSS is a network of sports news sites, curated by fans of each particular sport or team, so that only the very best & latest news from across the web is presented. We work with passionate, knowledgeable fans who use our platform to run the leading curated news site on the web for their favourite sport or team and, in doing so, help bring the finest writers, fans and sports communities closer together. To find out more about the technology behind Sports PRSS and other sectors that utilise our platform, click here.